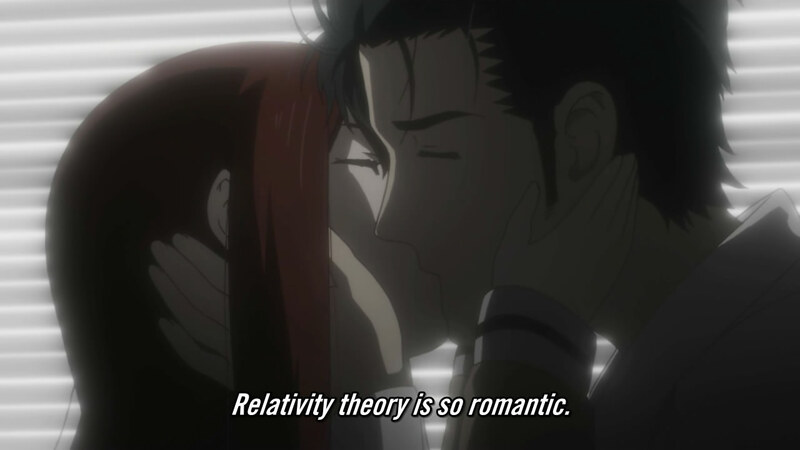 Another awesome week for Steins;Gate even if I'm starting to get bored of the same gimmicky flow of every episode. They seem to like to take their time throughout the whole episode with a cliffhanger at the end. 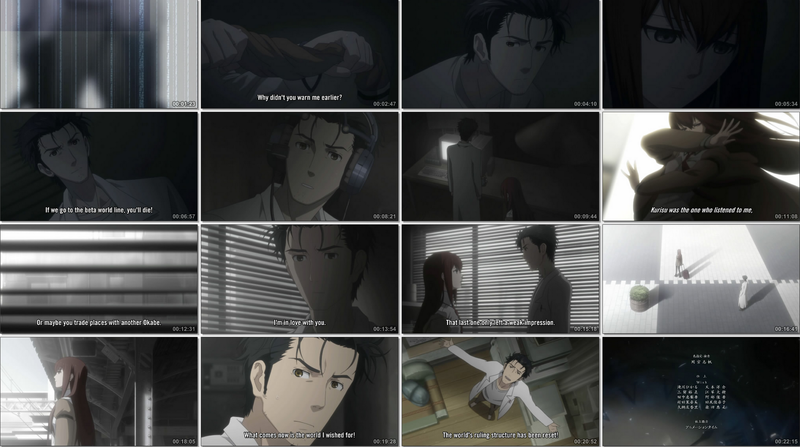 When did my anime turn into North American drama shows? 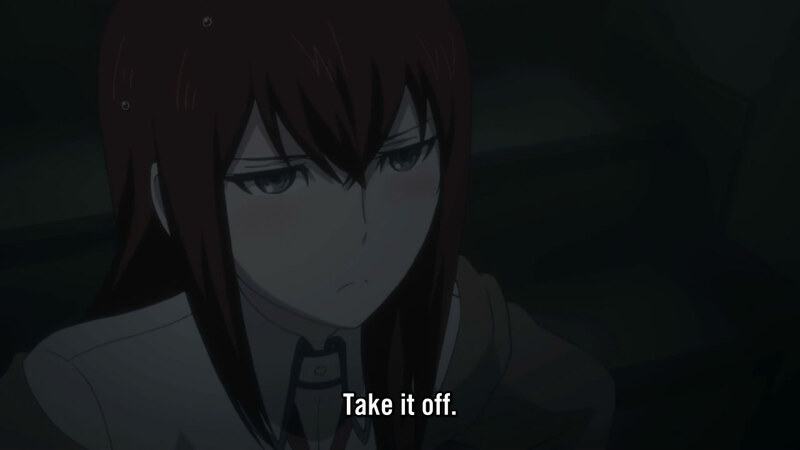 This episode had only Kurisu and Ookarin for 90% of the episode which was probably why I enjoyed it nonetheless. So if you boil down this episode, not much happens. Small banter between them so that they realize she also has vague memories of the time leaping. So everyone seems to have memories of these jumps, at least it is semi-consistent even if they seem to be breaking the rules that Ookarin is the only one with Reading Steiner. 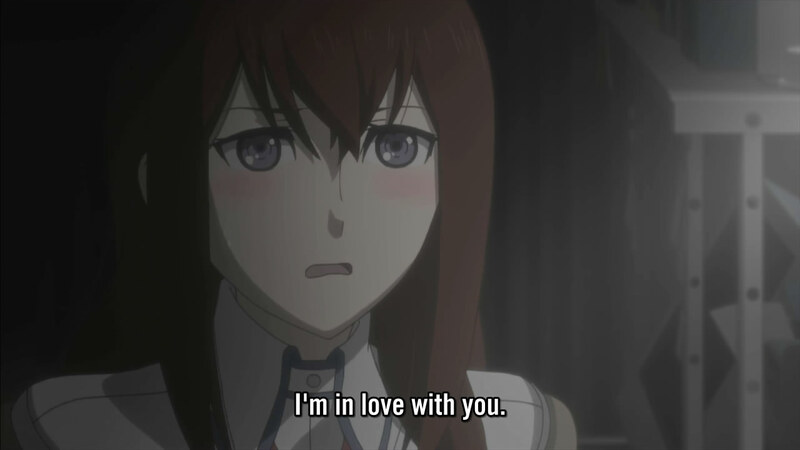 A confession is so hard to find within anime like this. It was really nice to see Ookarin pick the right girl since harem-ish anime usually end with everything open ended. BTW, how did she run away from him with a luggage bag so quickly without a sound? Is she a ninja? 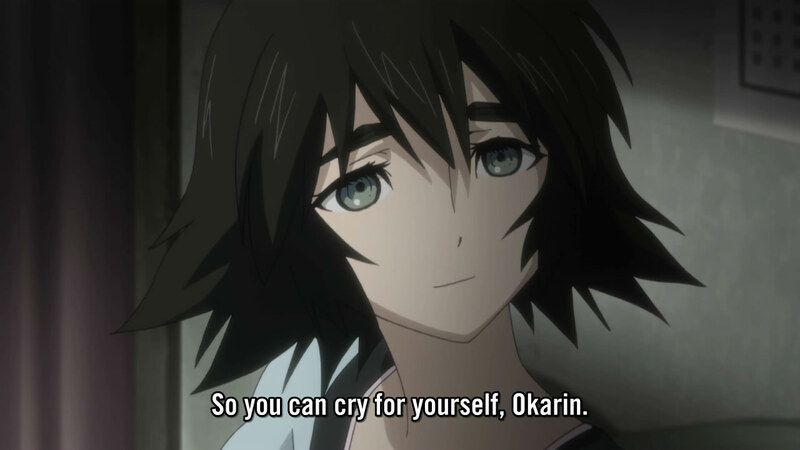 So Mayuri clearly shows she knew everything that was going on from the start. Should've just save Kurisu instead of her. Knowing what was going on and sitting back to be rescued, bleh. So they throw the twist, as always, with a cliffhanger ending. 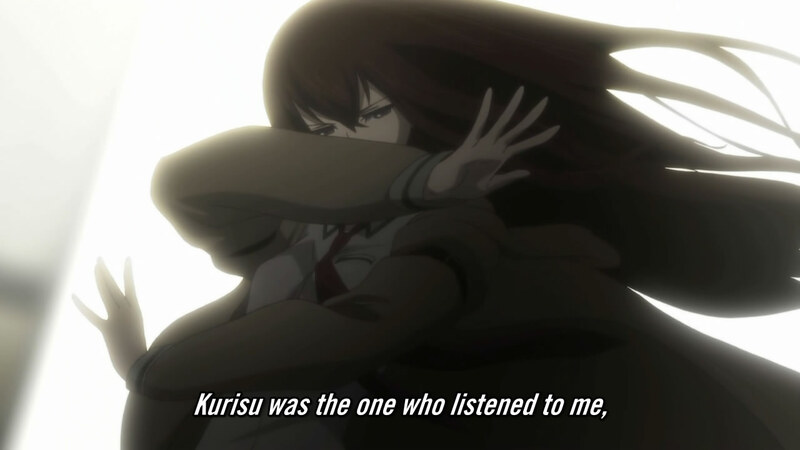 I can only think that the one that killed Kurisu was Suzu to end Word War 3. I mean she still has the potential to create that rival time machine for SERN to have sprung the World War 3 thing. Still an awesome episode because it was Kurisu heavy even without much plot development. With only two episodes remaining, it seems like things would be quite rushed at this point. I was very dumbfound to find such a slow episode as the third last episode. Hopefully the last two episodes won't be too rushed and skipping too much content. It was a very emotional episode and I'm hoping he finds a way to bring his lover back, she is the best of them all after all.